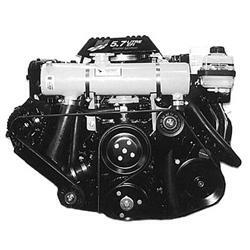 Fits 2002 model year only Mercruiser GM 4.3L/5.0/5.7L carbureted V6 & small V8 engines, with serpentine belt, and center rise style NON DRY JOINT EXHAUST. This system cools and protects the engine block only. raw water hose must route across the top of the port valve cover. Kit comes complete with detailed installations instruction.